Historians can look back to several junctures of time and place in American music when it was clear that something significant was happening. For Southern blues, it might have been Beale Street in Memphis in the early 1950s, when B.B. King and Bobby “Blue” Bland pioneered a modern blues sound that continues to resonate today. For bebop, it might have been 52nd Street in New York City in the 1940s, when Charlie Parker, Dizzy Gillespie and Thelonious Monk deconstructed jazz. 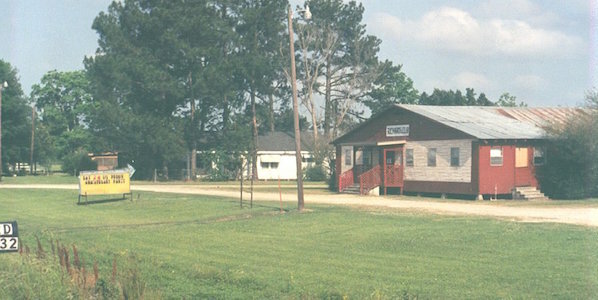 For zydeco, I would argue that it was Southwest Louisiana in the late 1980s and early 1990s, when Boozoo Chavis came roaring back onto the scene at Richard’s Club in Lawtell. In many ways, zydeco as a popular music style barely survived its early years, for if its two pioneers, Clifton Chenier and Boozoo Chavis, made their innovations in the 1950s, their careers were in decline by the early 1960s. Chavis quit playing entirely, returning to his trade of training racehorses to support his family. Chenier kept working with his small band, but there was little awareness of his music outside the local Creole community. Zydeco and its cousin, Cajun music, were often maligned as backward—it was the music of poor people. Like speaking French, it was not socially progressive. Through the 1960s and 1970s, zydeco and traditional Creole music maintained a steady if quiet presence. When Clifton Chenier signed with Arhoolie Records producer Chris Strachwitz, his star began to rise, and his records seemed finally to announce zydeco music to the world at large. At the same time, musicians such as John Delafose, Rockin’ Dopsie, Roy Carrier, Marcel Dugas, Delton Broussard and Hiram Sampy played weekend dance and some even toured occasionally. Yet, the full blossoming of zydeco was yet to come. Boozoo Chavis was a fireplug of a man who appeared onstage in a plastic apron, to protect his accordions from perspiration, and a cowboy hat. When, in the mid 1980s, his family urged him to return to the stage, Boozoo began drawing unprecedented crowds at Richard’s Club, a long, low-ceilinged building that seemed in danger of shaking loose from its foundations when the music got loud and the dancers filled the floor. Shiny pickup trucks packed the parking lot and the shoulders of Highway 190, while Creole couples made the scene dressed in matching Western outfits with pressed jeans. Boozoo’s simple, relentlessly driving music was a sensation. It wasn’t long before Boozoo had challengers, as a wave of new musicians emulated his raw button accordion sound. Bass player Robby Robinson enlisted Delton Broussard’s son, accordion player Jeffrey, to form the band Zydeco Force. Their sound emulated Boozoo’s groove, but with modern touches such as harmony vocals and R&B-derived chord changes, and they quickly established a following that rivaled Boozoo’s. Then, all hell broke loose. Beau Jocque (Andrus Espre) was six and one half feet tall, and weighed 280 pounds. His husky and powerful voice summoned the spirit of the bluesman Howlin’ Wolf, and he had a keen musical intelligence. While recuperating from an industrial accident that left him temporarily paralyzed, he began experimenting with his father’s dusty diatonic accordion. Then, he and his wife Michelle began going to zydeco dances, analyzing what it was about Boozoo and Zydeco Force that made people dance. When he hit the stage at Richard’s, Beau Jocque presented a fully formed sound that tapped influences such as Santana and War, adding an even deeper level of funk to Boozoo’s rural stomp. There was no turning back for the new zydeco sound. Parked cars were soon lined up along the road for half a mile in each direction at Richard’s, as word spread beyond the local Creole community. Like professional wrestlers, Beau Jocque and Boozoo Chavis carried on a rivalry—the zydeco forefather versus the young upstart. It was good for business. An even younger generation took note, and soon Keith Frank, Chris Ardoin, Step Rideau and the tradition-leaning Geno Delafose joined the fray. The “double-kicked” bass drum beat inspired people from all over the country to begin dancing to zydeco. John Blancher began booking a weekly zydeco dance at his Rock’n’Bowl venue in New Orleans, and there was even a zydeco cruise. It should be noted that, following the death the Clifton Chenier in 1987, his disciples were also having their heyday, carrying his more sophisticated piano accordion sound forward. Chenier’s former sideman Stanley “Buckwheat” Dural eclipsed his mentor’s popularity, touring the world with a tightly disciplined show. Nathan Williams and the Zydeco Cha Chas soon followed. Yet, for a few years, it felt as if the earth shook under Richard’s Club, as Boozoo Chavis’s primordial sound came thundering back, inciting the unlikely reawakening of a regional music strain that prevails to this day. The world took notice, and it might just have been zydeco’s golden age.